Cape May Court House resident and former Philadelphia Kixx soccer player Matt Maher speaks to The Press of Atlantic City at Mid-State Correctional facility. Andrea Maher, of Green Creek, mother of former pro soccer player and convicted drunk driver Matt Maher, hosts a podcast called "That Guy's Mom" from her home. 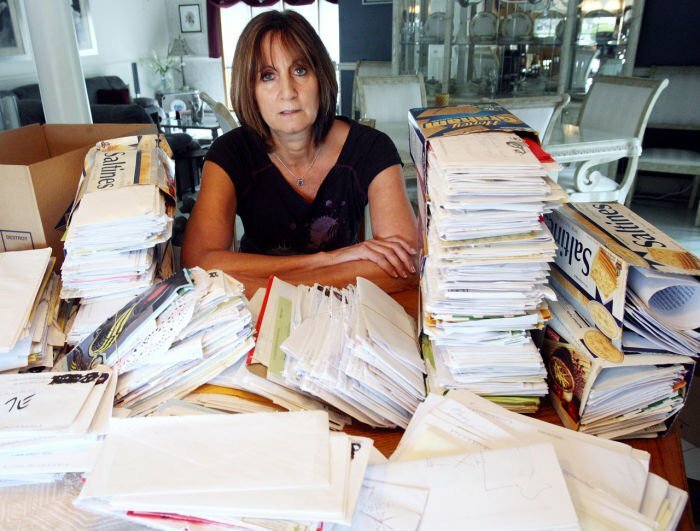 Matt sends letters he receives in prison back home that Andrea saves in boxes. Matt Maher smiles a lot for someone in prison. Not all the time, of course. Andrea Maher’s son breaks down in tears while describing how he took a man’s life more than three years ago. Matt Maher, reeling from a major knee injury suffered while playing professional indoor soccer for the Philadelphia Kixx, had been drinking heavily at a bar in Manayunk, Pa. He then got behind the wheel to drive to Atlantic City with a friend shortly before 3 a.m. March 7, 2009. The Cape May Court House native said he was driving faster than 100 mph on the Atlantic City Expressway when, after passing one car, he collided with another as both moved into a middle lane from opposite sides. The other car flipped, and the driver, 54-year-old New York resident Hort Kap, was killed. Since that day, Maher and his mother have devoted themselves to having a positive impact on the lives of others — whether by speaking out to deter people from making the same mistake he did, or simply by spreading his Christian message to fellow inmates. Maher, who turns 29 on Saturday, acknowledged that there is no way to prove his sincerity. Whether it’s intentional or not, he appeared to be setting himself up for a successful career in writing or public speaking after he is released, which could be as soon as Aug. 3, 2014. Regardless, these are the facts: Maher has used his platform as a former professional athlete to reach thousands of people with his message. The website where his mother posts his daily journal entries has drawn more than a quarter-million unique visitors. Maher said he is at peace with the fact that his actions will have to continue to speak louder than words. It’s why he smiles so much. Maher said none of this was his idea, and various people who have offered him platforms along the way confirm that. About one month after the March 2009 crash, Don Chew, who had been the Bible Club counselor at Middle Township High School when Maher was the club’s president, asked Andrea Maher if her son would speak to students at the school while he awaited sentencing. “It was just so raw. I thought, ‘Are you kidding me?’” Andrea Maher said in a recent interview at the Cape May Court House home where she lives with her husband, John, executive undersheriff for the Cape May County Sheriff’s Office. But when Andrea mentioned the idea to her son, he refused to say no right away. Matt said he prayed about it and came to a decision. Maher’s first speaking engagement was featured in The Press, where it caught the eye of Ocean City Police Sgt. Charley Simonson, who at the time was chairman of the executive board of the South Jersey Traffic Safety Alliance. Simonson and the alliance asked Maher to speak at other schools and colleges, and he eventually made 34 appearances before heading to prison Jan. 7, 2010. With her son heading to prison, Andrea Maher suggested that he keep a journal and mail her updates to post on his Facebook page. With help from friends and family, Andrea eventually developed a website, TheMattMaherStory.com. Two years into Matt’s prison term, in January 2012, the website had drawn more than 250,000 unique visitors, Andrea said, adding that they came from every U.S. state plus more than 120 countries, in 67 languages. One section of the website features a tribute to Kap, and blog entries from his family members. Andrea Maher said she has kept in touch with Kap’s daughter, Somaly Ung, but Ung did not respond to phone messages or emails from The Press. The website is just part of it. The video of Maher telling his story has been shown in driver education classes, drug and rehabilitation programs and more. Matt writes a column for the Cape May County Herald. Andrea Maher, who herself does speaking engagements and hosts an audio podcast, estimated her son’s story has reached more than a half-million people. She receives emails and letters almost daily from people who have seen Matt’s story. Maher and his parents are aware that there are those who question his sincerity. When Maher was sentenced to 51/2 years in prison, Superior Court Judge Michael Donio counted the 34 speaking engagements as days served. Maher said he spent his entire life trying to impress people, though, and he knows it’s a losing battle now. He’s fine with that. He uttered the phrase, “I don’t deserve it,” repeatedly, but he said that’s no reason to turn his back on opportunities to do good. Simonson, who first got him involved with the traffic safety alliance, said he believes that Maher’s intentions are pure. “My impressions were that he was a good person before this, and that he made a mistake, and that this is one of the ways that he’s resolving his own personal issues to make up for that mistake,” Simonson said. The lights go on at 6 a.m. in Tier 7 East at the prison. Maher already has been awake for an hour, reading the Bible in the dim light provided for the guards on overnight patrols. He usually eats in his cell — inmates can order food every two weeks — so he can wear sweatpants and a T-shirt rather than prison garb. He used to go to the gym with the other inmates, but said he tired of the fights over equipment and being herded “like cattle” by corrections officers, so now his workouts consist of calisthenics in his unit. It’s all about avoiding the prison routine as much as possible. Meanwhile, he has reached out to other inmates. He has tutored fellow inmates in English and started a Bible study group that now includes about 15 to 20 of the 38 men in his tier. One of those inmates was former NBA All-Star Jayson Williams, with whom Maher shared a cell during Williams’ 18-month stay for aggravated assault in the accidental death of a limo driver. Williams said in a recent ESPN.com interview that Maher was the one person he trusted in prison. Maher helped Williams write his book, “Humbled,” and Williams said he turned down a seven-figure deal to instead donate the proceeds to charity. Being friends with Williams helped Maher, too. In an excerpt from “When God Had My Back,” one of the seven manuscripts Maher has written in prison, he told the story of how Williams once saved him from a beating at the hands of the infamous “Bloods” gang. A key player on Middle Township High School’s 2002 state Group II championship basketball team, Maher angered a gang member during his first prison basketball game. Williams, Maher wrote, had to convince a gang leader to call off an order to harm him. Another new acquaintance was “Little” John Paladino, a 47-year-old who is in his fourth prison stint. Paladino described himself in a letter to Andrea Maher as someone who “lived the life of a gangster all my life,” but he said Maher helped him to be “reborn in the blood of Christ.” Paladino writes a blog for Maher’s website. Maher himself will come out of prison a different man. While incarcerated, he struck up a friendship through letters with a family acquaintance, Wildwood Crest resident Sarah Peterson. Maher found he shared an intense connection with Peterson. And both of them noticed signs — three near-strangers brought up the subject of a wife on separate occasions to Maher, and Peterson had a vivid dream that she would end up marrying him. That agreement was formalized when Peterson and both their mothers came to visit on July 7, 2012. Andrea Maher brought in an engagement ring and slipped it to her son, who then surprised Peterson by proposing (he admitted with a smile that this was “definitely illegal,” but prison officials who were present during the interview let it slide). Maher said he’s not in any hurry to get out. He said the first 37 months of his sentence felt like 37 days because, unlike many inmates who anxiously await their release date, he is content being where God wants him to be. He even turned down an assignment to full-minimum security that would have allowed him to work outside the prison. Maher said he’s not sure what he wants to do when he gets out, only that he will not abandon his mission. He has written seven manuscripts while in prison — mostly autobiographical and inspirational with an emphasis on religion — and with the help of his family has started 55:11 Publishing. Any proceeds go toward his family’s “Be Still Foundation” to further the mission, he said. Maher said he will be a different person when he gets out of prison. He said he has “no desire” to drink alcohol ever again. 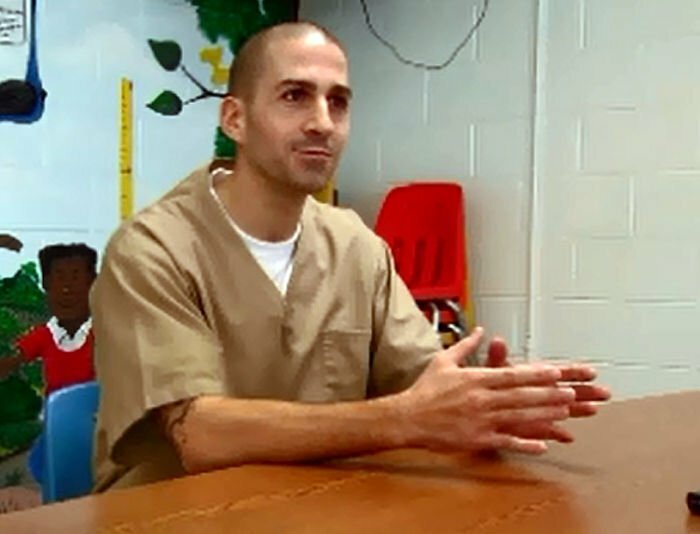 Time will tell whether Maher continues as a free man the mission he began as an inmate. Once his future no longer hangs in the balance, he will have the opportunity to really back up his words. Maher insists he will do that. Threats of harming another person will not be tolerated.